There are many times when you might need some military symbols. 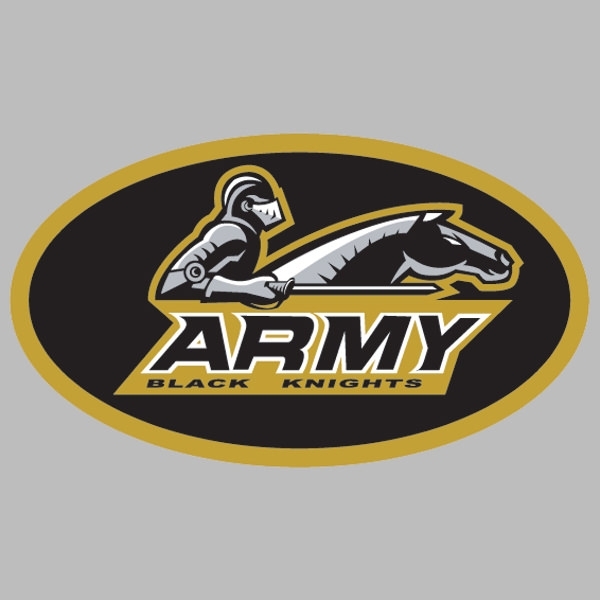 There are plenty of army logos available online. These are inspirational and can help you to perfect your own label for your unit, platoon or just for fun. These options cover all of the military branches, so there is something for everyone. Go ahead and look at some of the best options that are available here. This is a set of 4 labels that you can use for any basic requirements and they not only signify various units, but also different qualities. You can use them to show love, struggle and aggressiveness towards a goal and their country and there is also a bomb, a sword, wings and an anchor. Simple is sometimes better and this is one of those times. This design is created using different shades of grey and it is a circle with 2 forms inside. 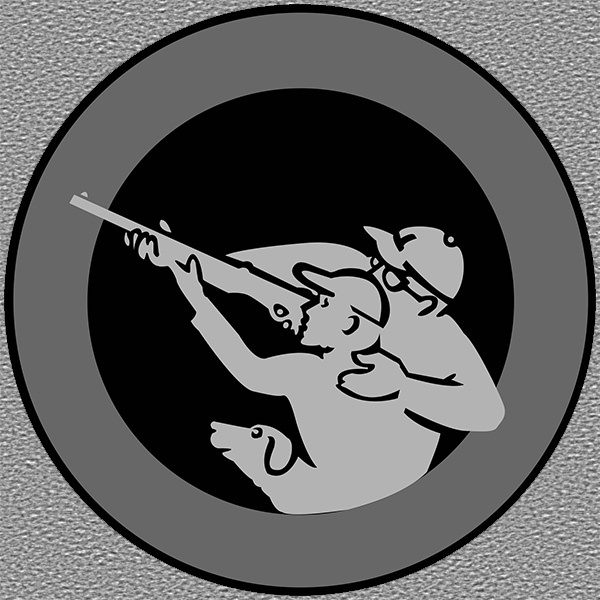 One of the people is holding up a rifle, while the other is supporting them, which can indicate that the fellow soldiers are ready and willing to do anything. If your unit has a nickname, then you can use this army logo to help you create the perfect emblem. This one is an oval shape and it pictures a soldier wearing armor sitting on a horse with his sword out in front of him. It uses yellow, grey and black as the dominant colors, but it can be personalized with different images, words and colors based upon your needs. For those who are looking for some of the more traditional emblem shields this is the perfect option. There are 6 designs that you can use for medallions, labels, academy badges, military emblems or for your Army crest. They are available in different colors and you can edit them according to your personal preference. This is another simple option for some Army logos that you can use. 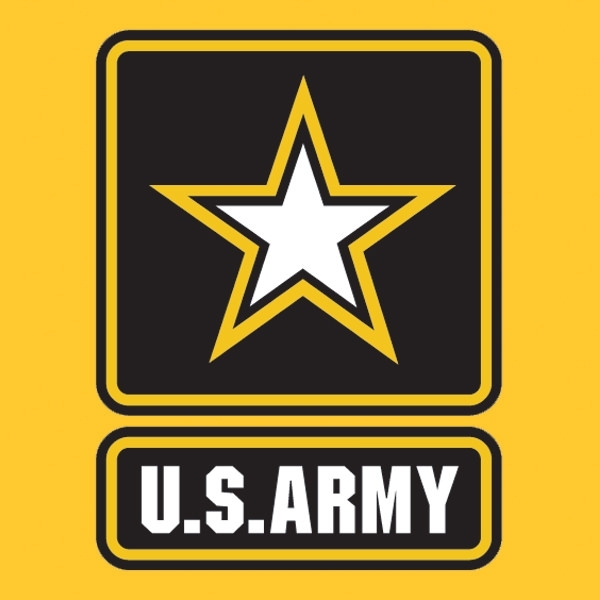 It features a star surrounded by a box with rounded corners that is the cornerstone of the traditional logo of the US Army. It is done in black and white with the star having a bold outline around it. An ancient Roman emblem is also a good option and it has a coat of arms that has a gold mask statue style helmet, flag banners, a lance, a spear, an eagle and some swords. All of these are inspiration for military glory or for a unit that wants a bit more pomp in their army logo. This option is simple and it has a black background with a soldier holding on to a person on a stretcher. The image is surrounded by the words or phrase of the unit and it can be changed up depending on the requirement. For the unit that has a coat of arms this is perfect. It is created in shades of blue and white and it consists of 3 arrows that are criss-crossed inside a circle. You can create your unique, elegant emblem without problems using this. If you are looking for another simple army logo, then this is your thing. 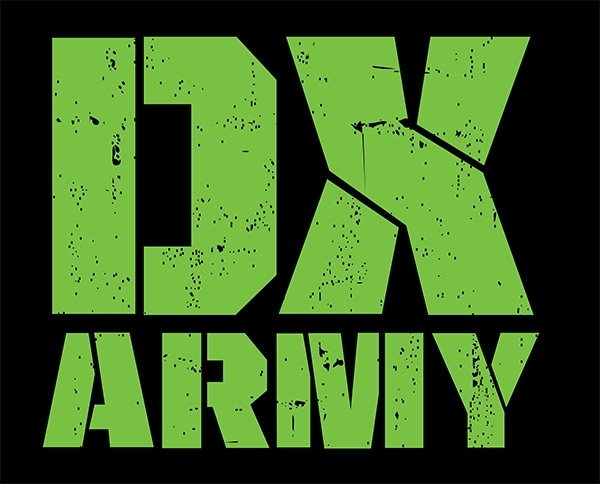 It has a black background and the words, which are in capital letters, read DX ARMY in a green font. This is the emblem for an Air Force unit that is part of the US Army. It is a vector image in blue, yellow, red and white. 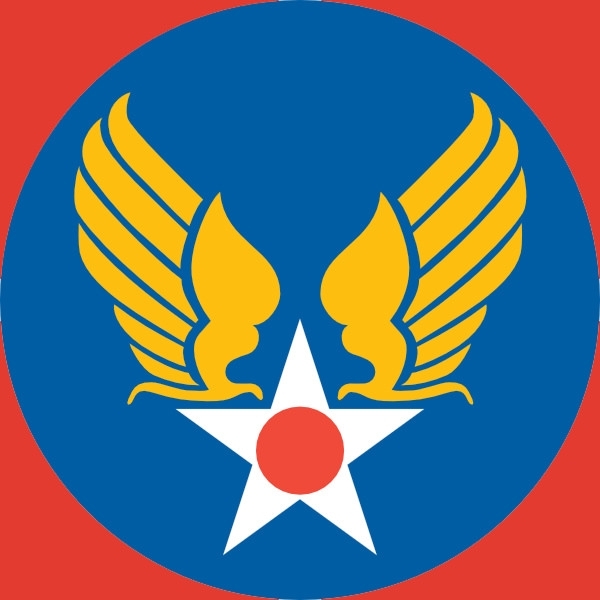 It pictures yellow wings that are attached to a star and indicates that the group is united. For those who are in the Army National Guard, this is your option. It is purple and white and shows a man in the older uniforms while holding a gun and the words Army National Guard curved around the top. If you are looking for a plain, simple and traditional style army logo, then this is what you should download. It is the one that is used by the US Army and it depicts a star on the top inside a square with rounded edges and the words “US ARMY” in a box below. Having your own label can give you a sense of belonging. It can also help you and your fellow soldiers feel like you are a team. Find the perfect one that will work for your unit or even your platoon based on your job, service area and much more. There are so many options that are unique, simple, yet stunning.